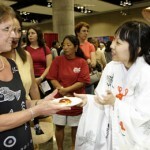 Honolulu Festival was originally started to promote the cultural exchange between Japan and Hawaii. 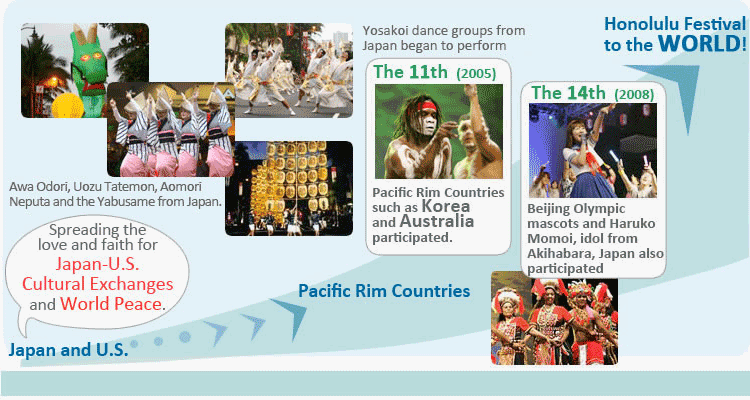 Over the years, the number of participating groups from other Pacific Rim countries and regions has increased, leading to the festival’s global recognition. Some of the artists who performed at the Honolulu Festival gained a wide publicity, had offers from outside of Hawaii and now they perform worldwide. What can I expect from the Honolulu Festival? 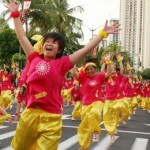 Honolulu Festival is a popular event that locals look forward to every year. Some of the participating groups are asked for an interview by the local media, and many events during the festival have got featured on the news. Participating in the Honolulu Festival is a great way to gain a publicity, promote your cause or advertise your organization. Every year, many people from all over Japan come to the Honolulu Festival to perform traditional entertainment often seen in Japanese summer festivals. Honolulu Festival is thus a great chance for you to see many kinds of Japanese festivals and festival performances, which is not easy to do even if you live in Japan! At the Friendship Gala on the first day of the Honolulu Festival, you can enjoy a variety of local dishes served by the best restaurants on Oahu. People start lining up for the delicious dishes even before the party begins. All the performers for the Honolulu Festival get together at the Friendship Gala, and have a blast enjoying the food and dancing together. As all of you may know, Hawaii is the world-famous tourist destination. Unlike other resort cities, Hawaii is relatively low in crime rates, which is one of the reasons why it attracts so many tourists from around the world. 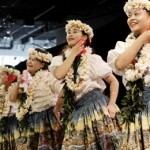 Add Honolulu Festival to your travel itinerary to make your trip even better!